RepuGen is online reputation management software that automates customer satisfaction monitoring via text or email customers, measure satisfaction with the help of an automated messaging system that can be customized and enables customers to express their grievances or appraisals easily. "Excellent tool to improve patient experience"
Its a great product to get honest feedback from my patients and helps to improve my services, based on it. The best are the ones who didn't have a good experience - they can be engaged immediately to understand what went wrong - and corrective measures can be taken. In many of these patients - we were able to bring them back to the fold, and actually started praising us. Also we were able to correct ourselves so that the same thing doesn't happen to any future patient. Its also a tool that keep you on the toes that you don't become complacent in future. As soon as you become complacent, you'll get a negative review! It leads to positive reviews on many social network sites, with its inbuilt features. "Repugen has been very useful for us to track, reviews, mentions and publications of our school name." Every time we get an email notifications with new findings or rating that I wouldn't have seen otherwise. This makes the tracking activity job easier. Some times survey form takes more days to reach or take a feedback from parents. With RepuGen, we are also able to foster new relationships while nurturing existing ones. It helps us gather feedback from our walkin parents in determining the reason of choosing us or vice-versa. And how to further improve their experience & interest(converting them in our next session) in our school as well as empower them to supply positive commentaries on Google and Facebook. Thank you so much for the review! 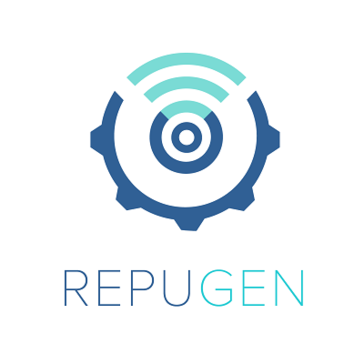 I'm happy to hear that you've found RepuGen useful in tracking customer feedback and getting reviews. Looking forward to continuing to help you with your reputation in the future! "A Must Have For Businesses"
Repugen has help the online image of my business immensely! I am able to get client's to rate and review my services online, which has helped me gain more customers. I love that I am able to filter dissatisfied clients and address their concerns before they write a review. The reporting tools are also very helpful in tracking our customer satisfaction. I cannot think of anything I dislike, the service is great. You will be so happy with Repugen's services. Reougen has helped manage our online reputation and has helped us address client concerns that I would have not known about. Excellent product, user friendly and prompt response from the support guys (Casey) for a fraction of price from competition. Very happy with their service. "A must have for those wanting to increase their customer base"
* We monitor all RepuGen reviews to prevent fraudulent reviews and keep review quality high. We do not post reviews by company employees or direct competitors. Validated reviews require the user to submit a screenshot of the product containing their user ID, in order to verify a user is an actual user of the product. Hi there! Are you looking to implement a solution like RepuGen?